I can’t believe it’s almost Spring! It’s my favorite season and my favorite time to decorate my home. 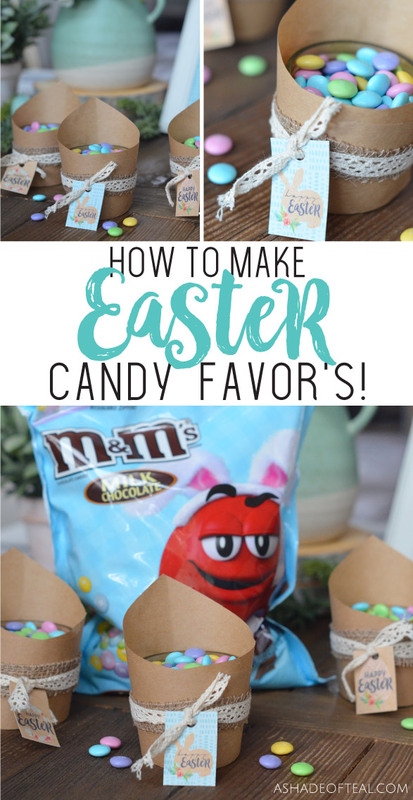 Of course with Spring comes Easter and I’m excited to share how to make these Easter Candy Favor’s! 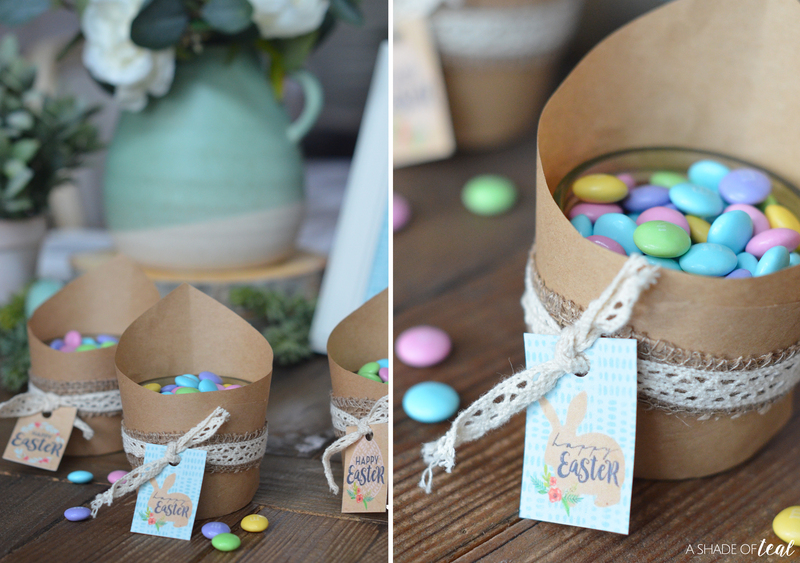 They’re perfect for Easter parties, gatherings, or a sweet treat gift for friends and family. , they’re my favorite! 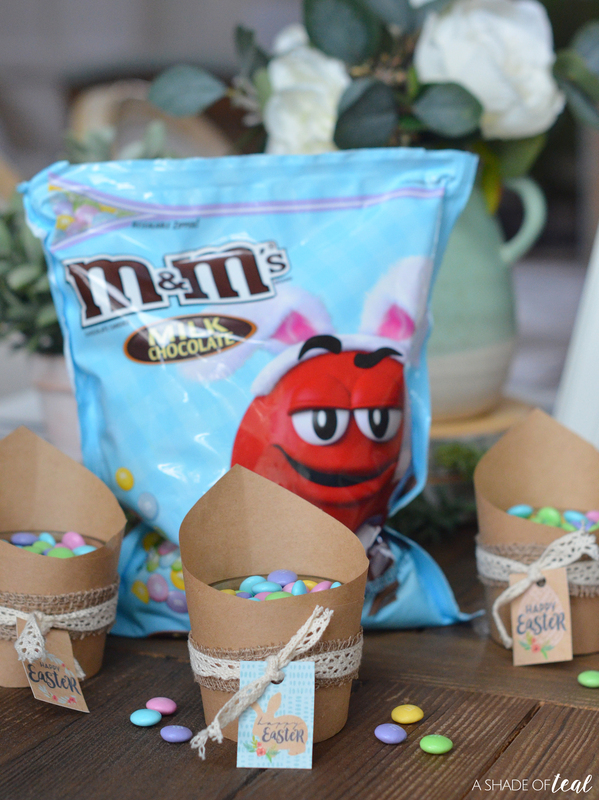 Not only are they great as is but Pastel M&M’S® candies are great for baking, decorating, or even filling your Easter Eggs. Step 1: gather all your supplies and cut the Kraft paper. You’ll have to play around with it, but try to replicate the below pattern when cutting. 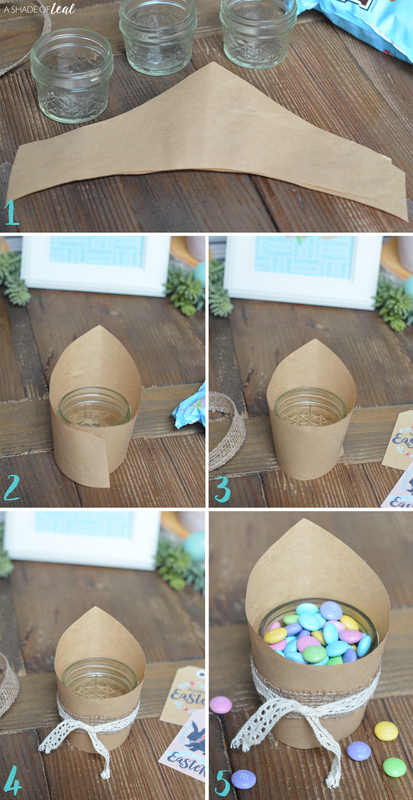 Step 2: wrap the paper around the jar and make sure it fits. Step 3: tape the paper to the jar. Step 4: add the decorative ribbon. I taped the burlap ribbon to the jar then tied the lace ribbon around it. 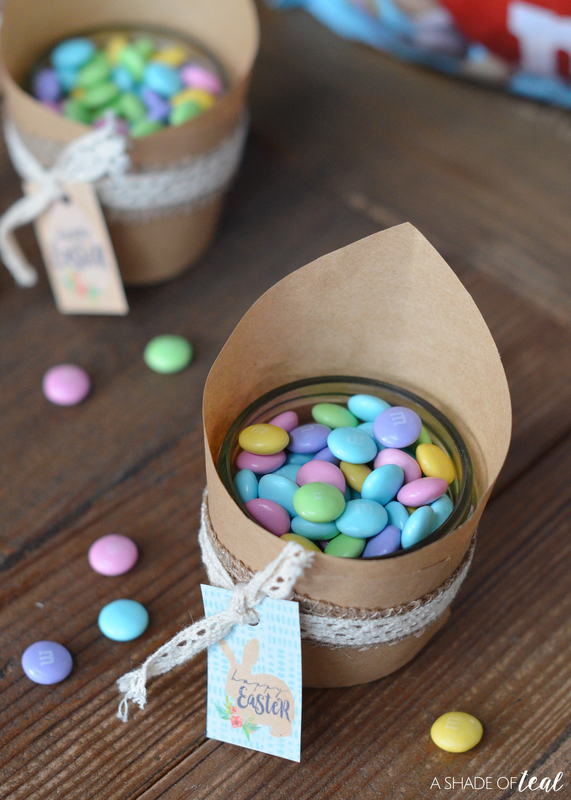 Step 5: add the M&M’S® candies. 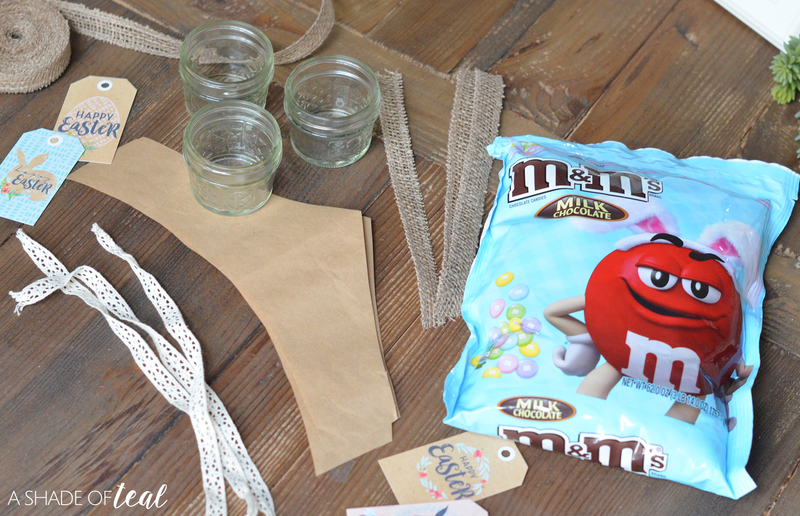 Step 6: finally, you can add a cute gift tag like mine. 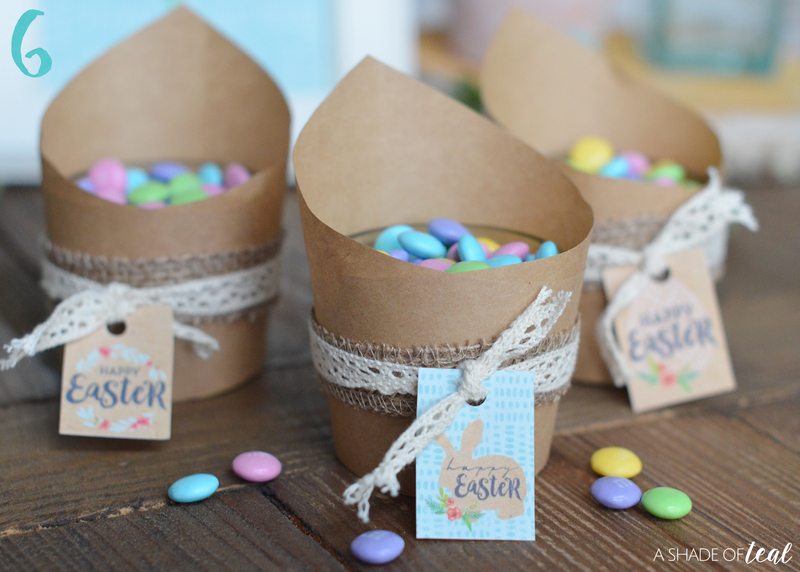 Aren’t they the cutest Easter Candy Favor’s! I already have a bunch ready to be gifted this year and I love that their incredibly simple to make yet they make such a cute gift. I know my friends and family will love them! This year “The Hunt is On” with Mars and Wrigley. 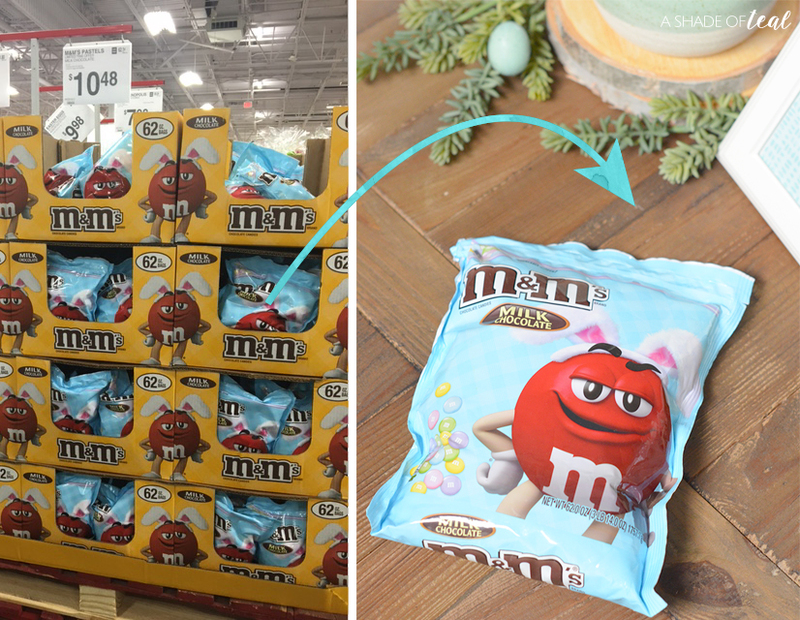 They’re making it easy to find goodies for the perfect basket at Sam’s Club. Make sure you go grab a bag. So are you excited for Spring and Easter to be here? 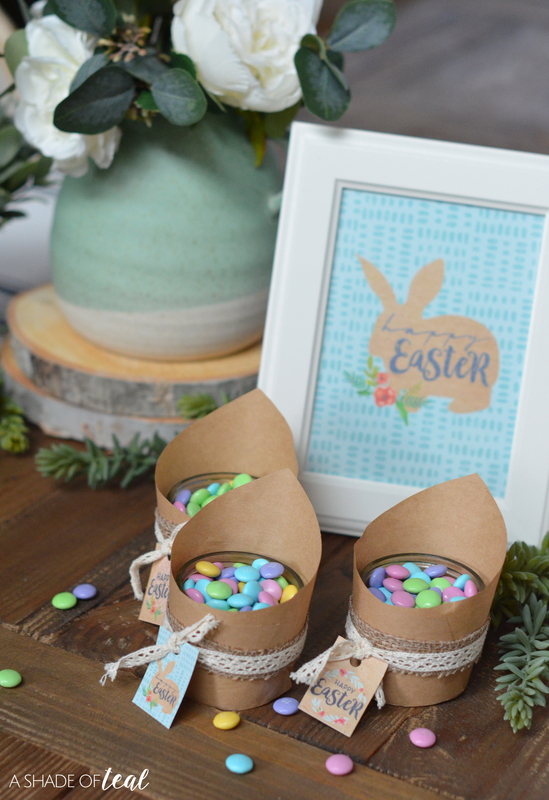 I hope you make this year easy with these cute Easter Candy Favor’s! « Baby’s 1st Easter Basket with Peter Rabbit! Is there any way I can print those cute tags?